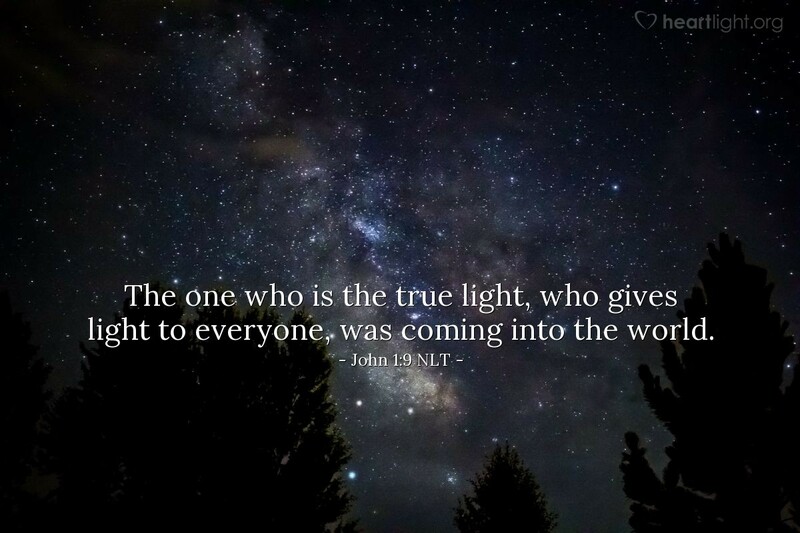 The one who is the true light, who gives light to everyone, was coming into the world. O Father, give me a bigger heart for those that I don't know. Use me to share Jesus with those outside my cultural comfort zone. Give me a greater sensitivity to those around me so that they can experience your love and welcoming grace because of the way I treat them. In Jesus' name, I pray. Amen.